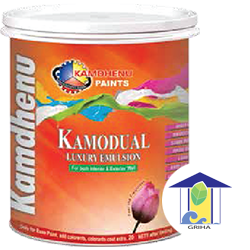 Formulated by the experts, Kamodual Luxury Emulsion is an elastomeric, super protective 100% acrylic latex paint. It is water resistant and protects the exterior & interior walls from dampness, algae and fungal caused by lashing rain. 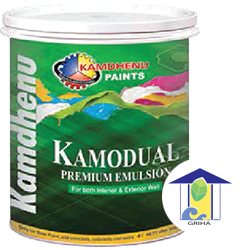 Kamodual Premium Emulsion is water based, 100% pure acrylic exterior & interior paint. It provides a silky sheen finish which lends a soft regal glow to the interiors of the room and also provides excellent weather proof coating on the exterior walls.